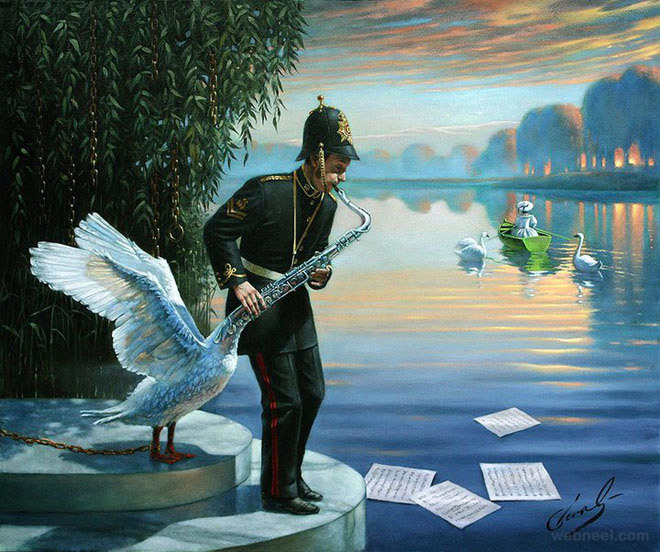 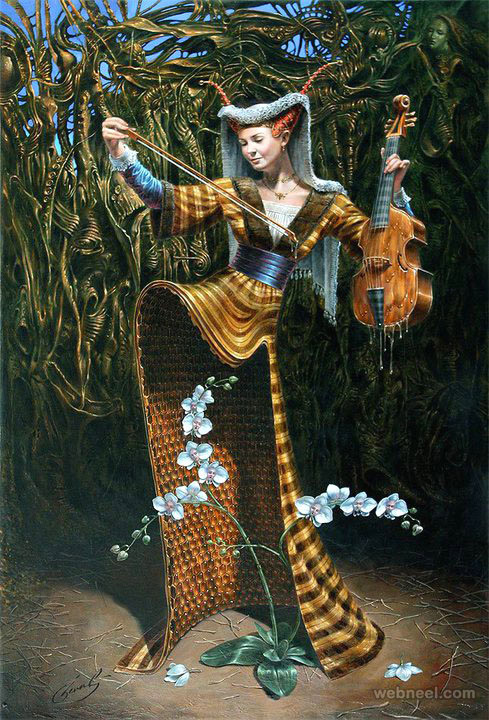 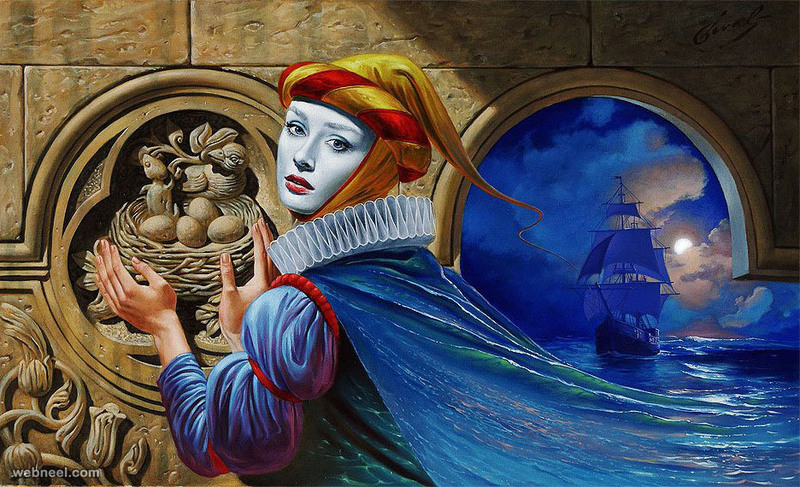 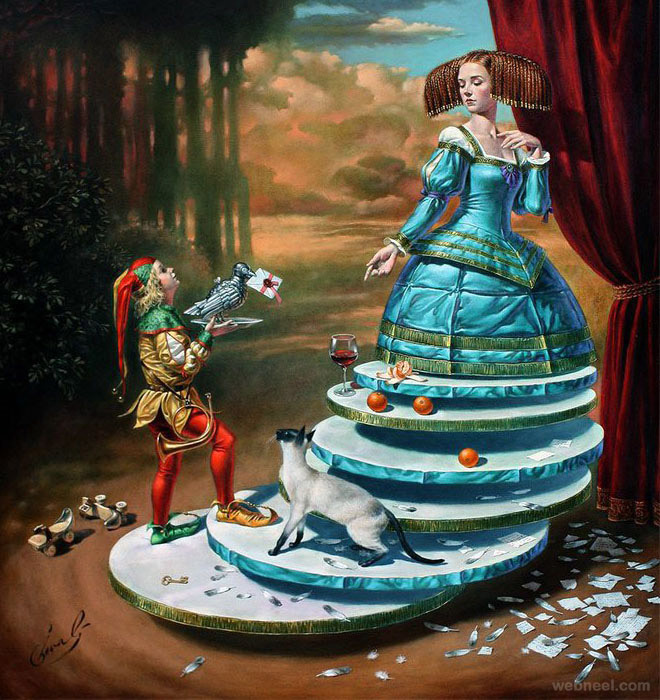 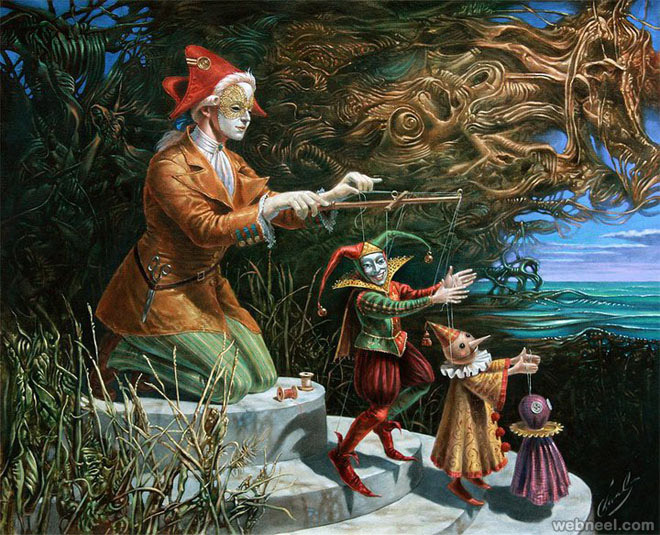 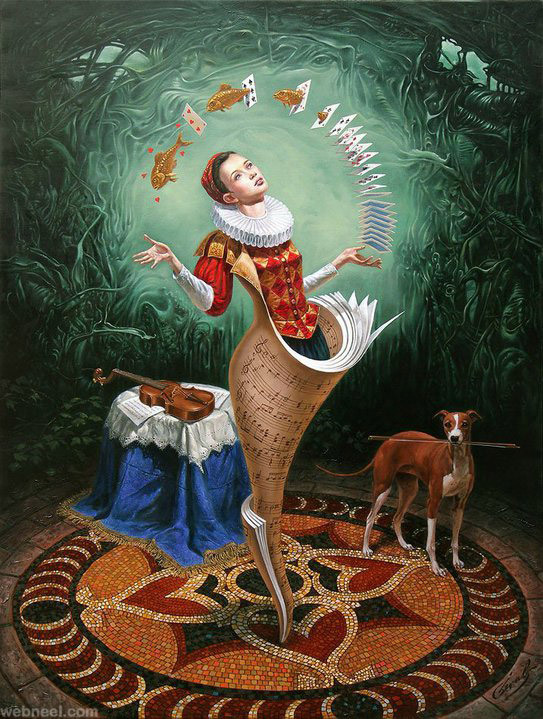 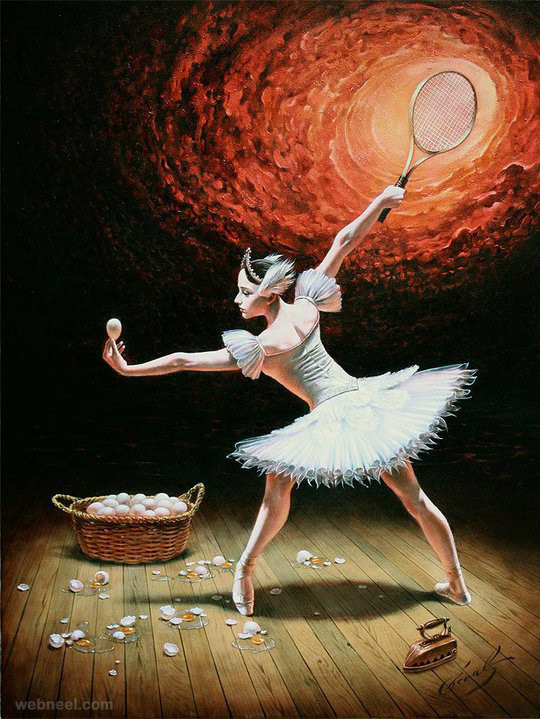 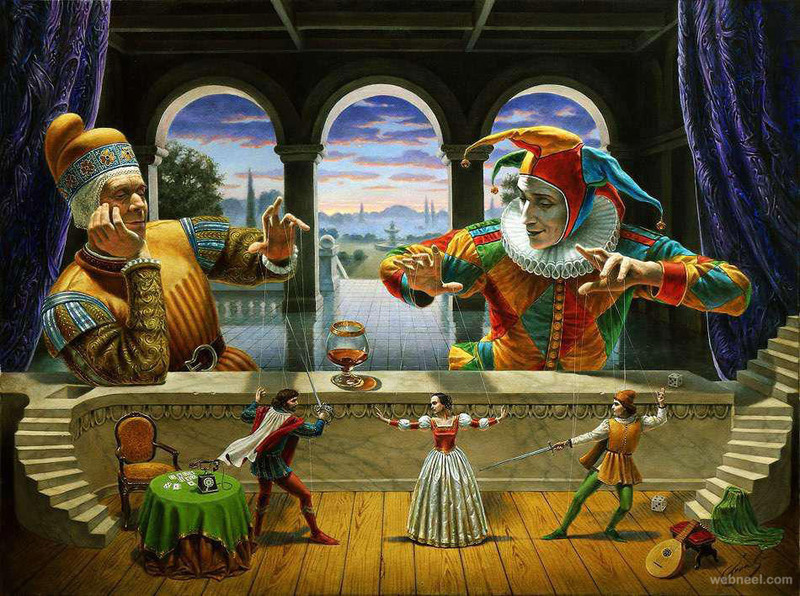 Illusion Art : Michael Cheval is the world's leading contemporary artist, specializing in Absurdist paintings, drawings and portraits. 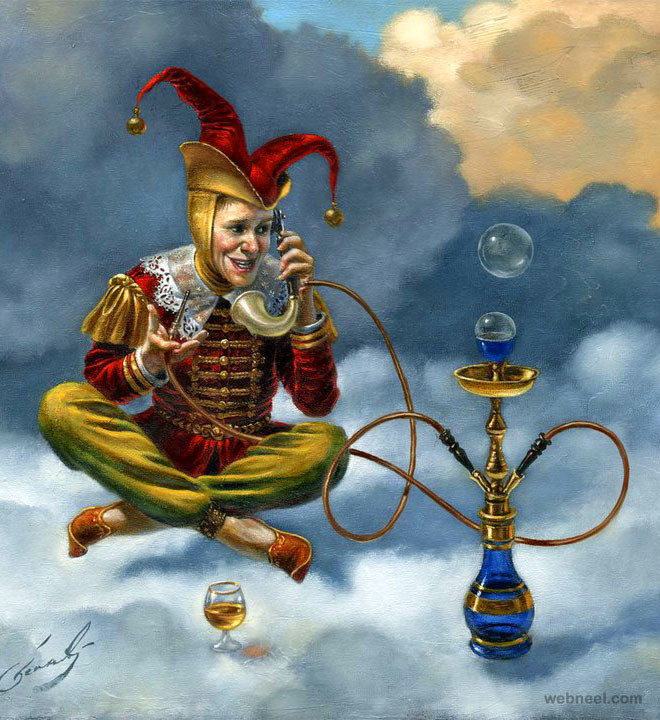 In his definition, "absurdity" is an inverted side or reality, a reverse side of logic. 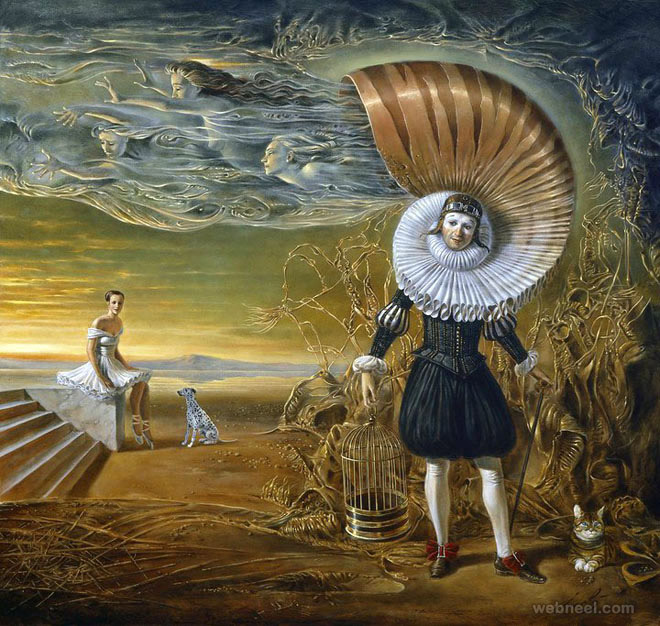 It does not emerge from the dreams of surrealists, or the work of subconsciousness. 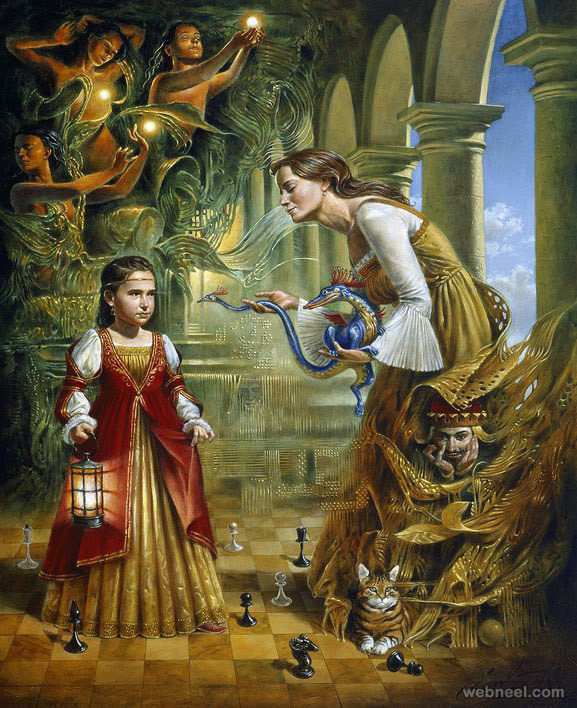 It is a game of imagination, where all ties are carefully chosen to construct a literary plot. 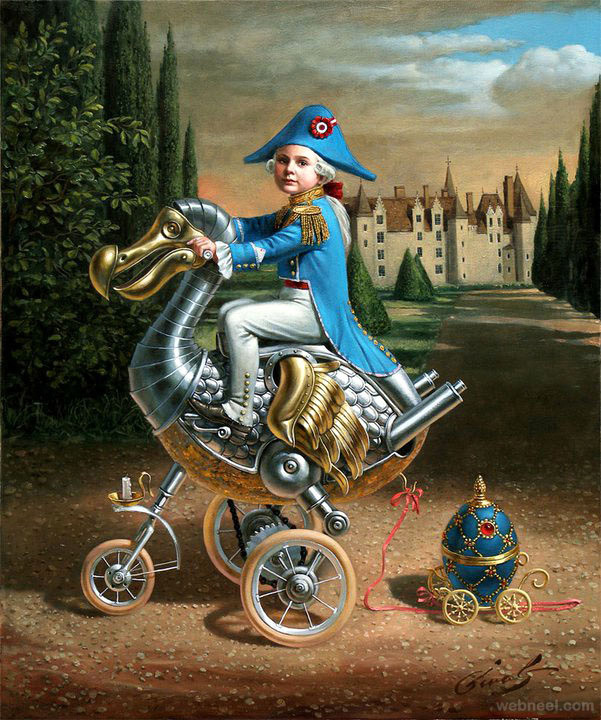 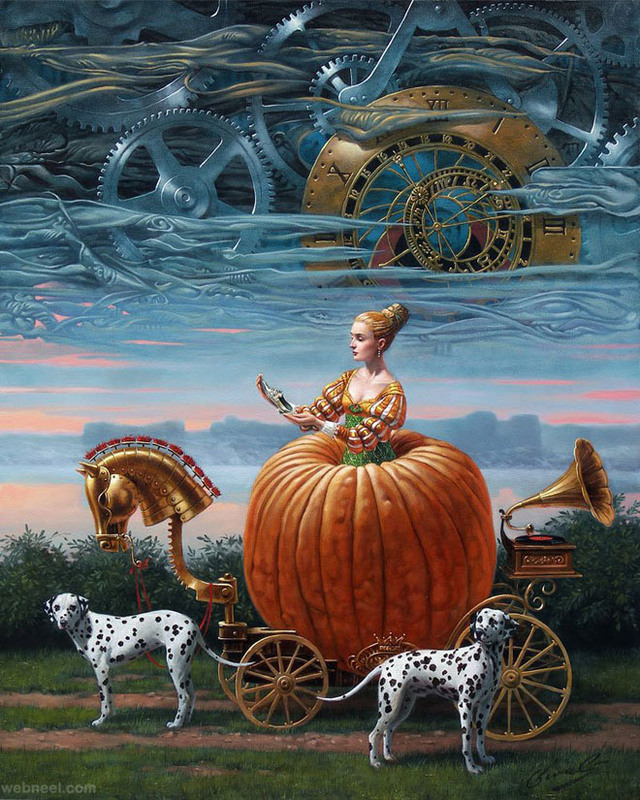 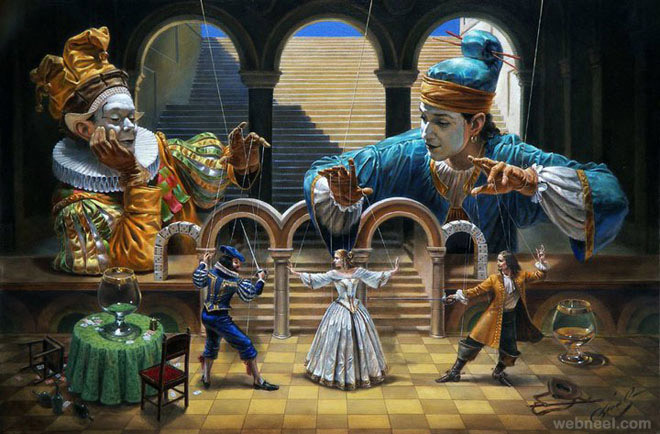 Any one of Cheval's paintings is a map of his journey into illusion. 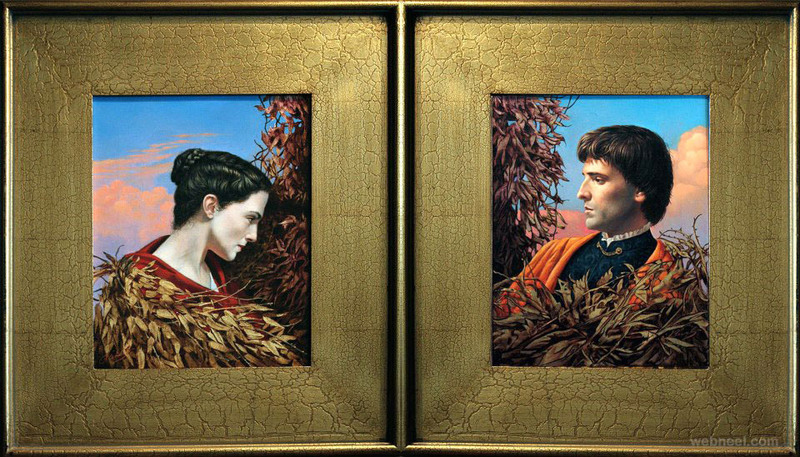 His work is often metaphorical and requires a sharp eye to decipher the often hidden allusions. 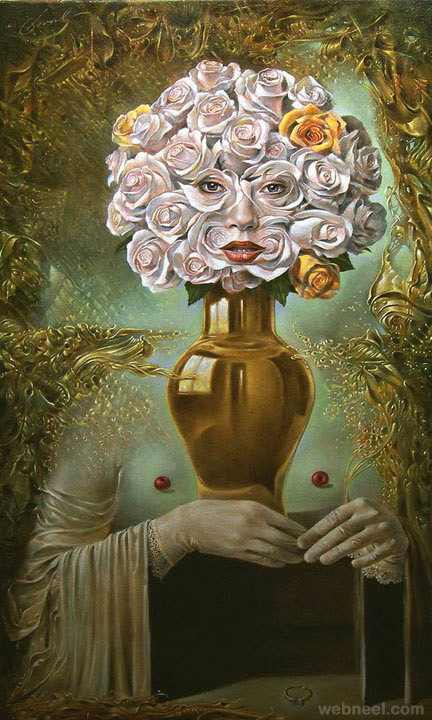 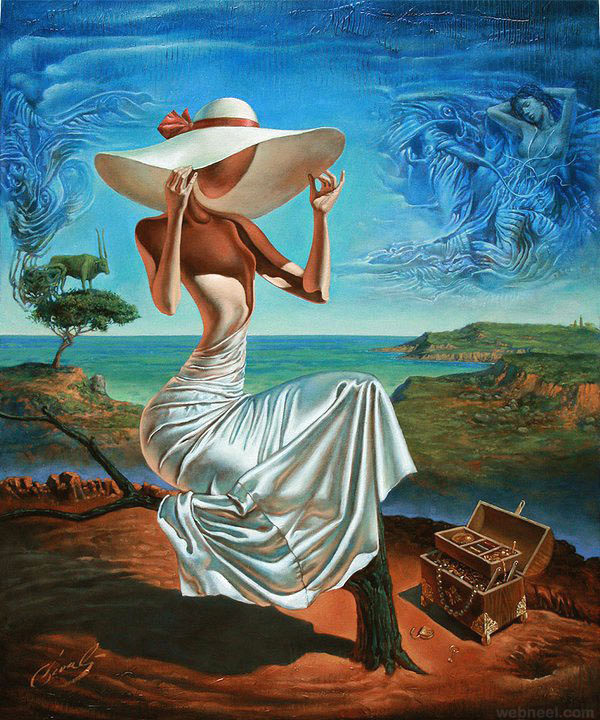 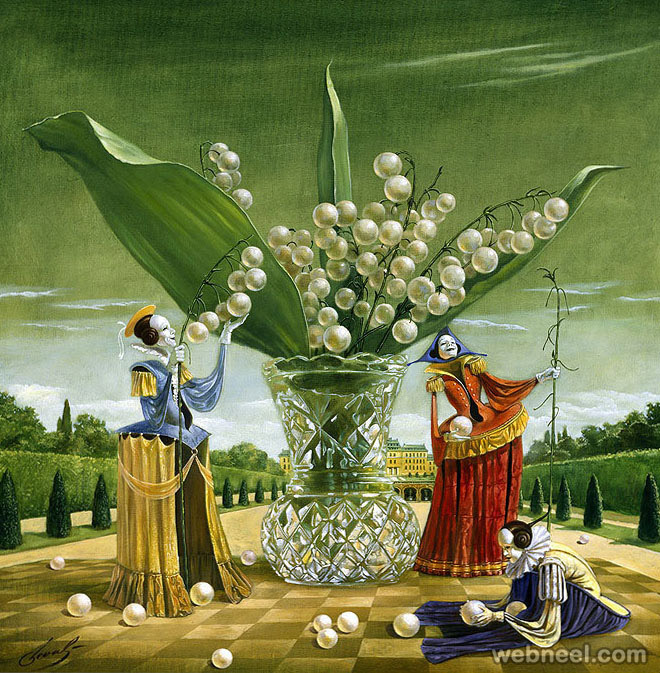 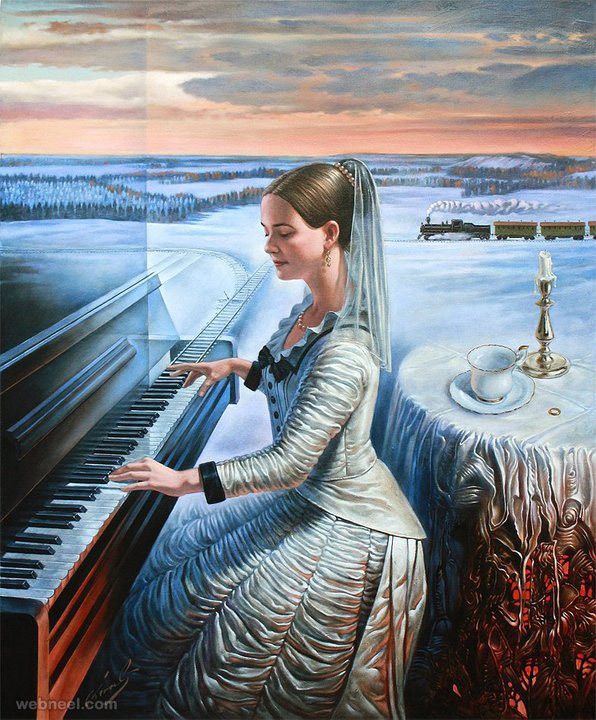 I hope you will like these surreal illusion paintings.